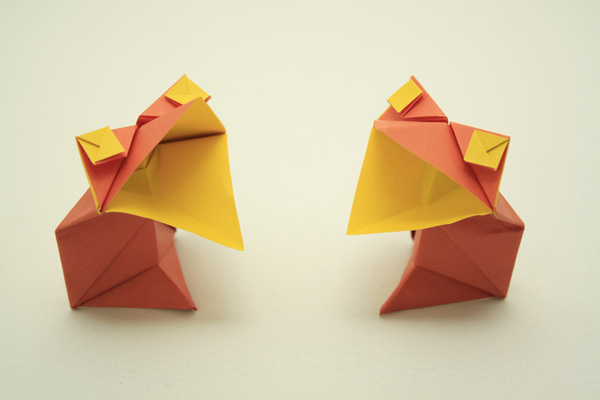 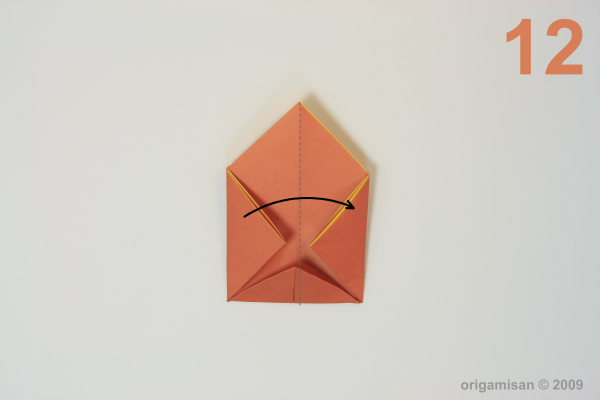 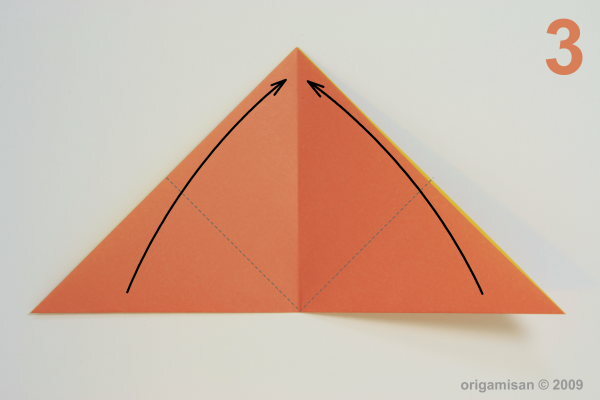 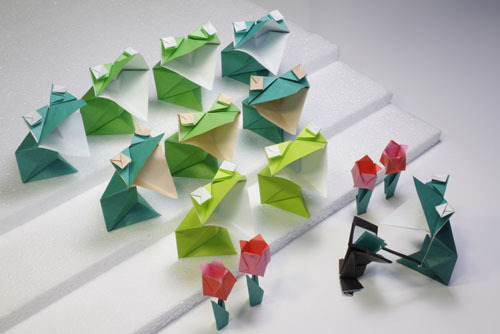 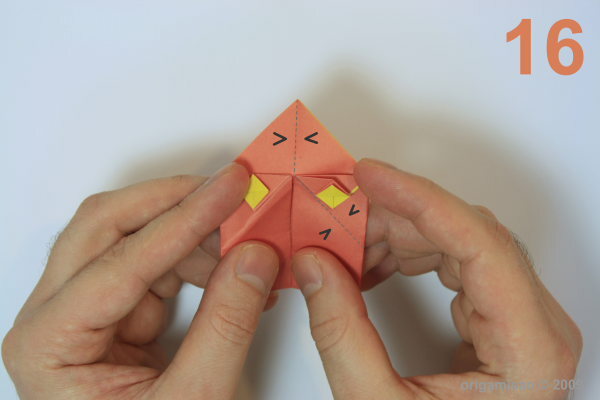 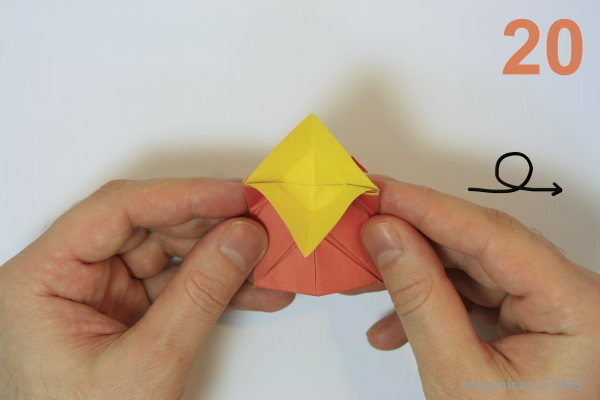 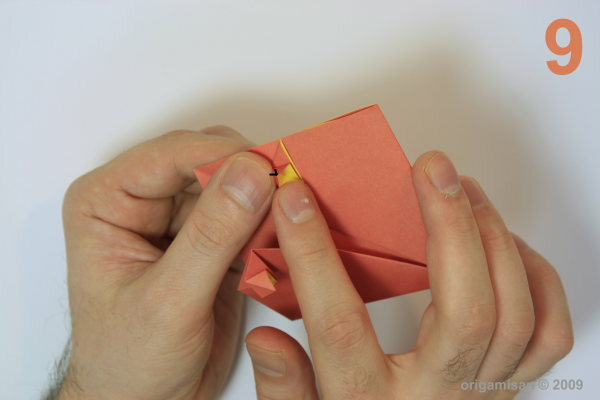 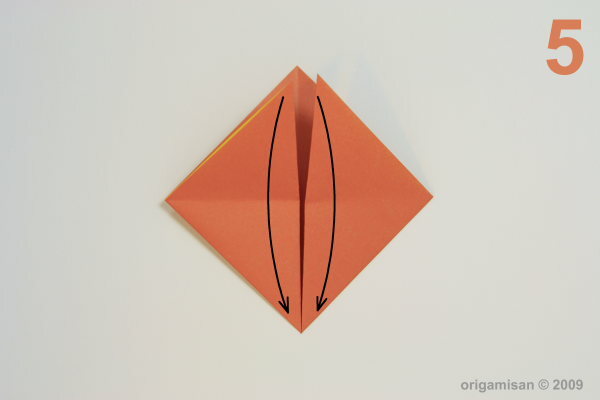 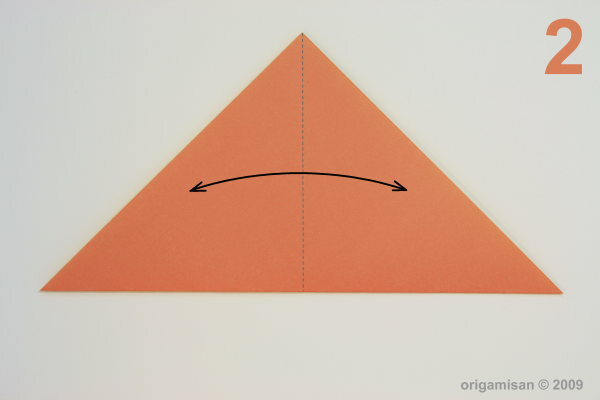 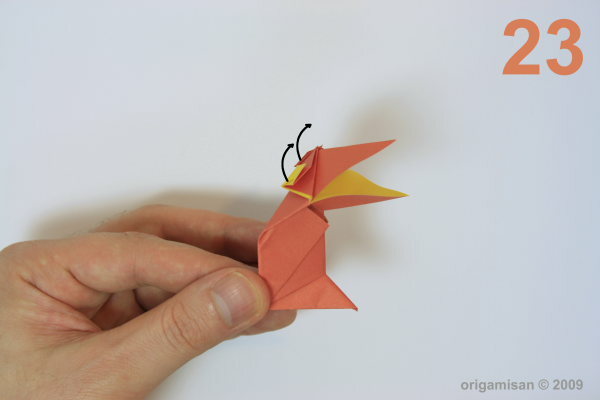 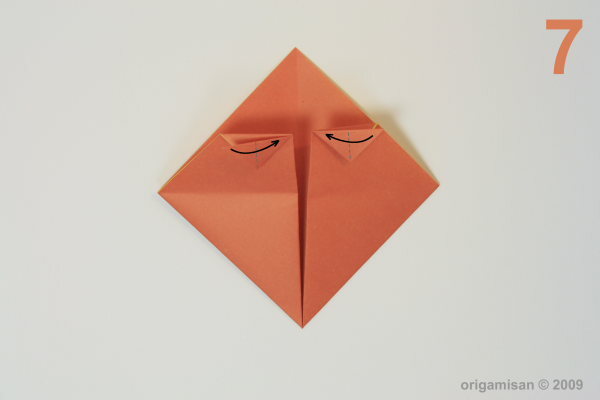 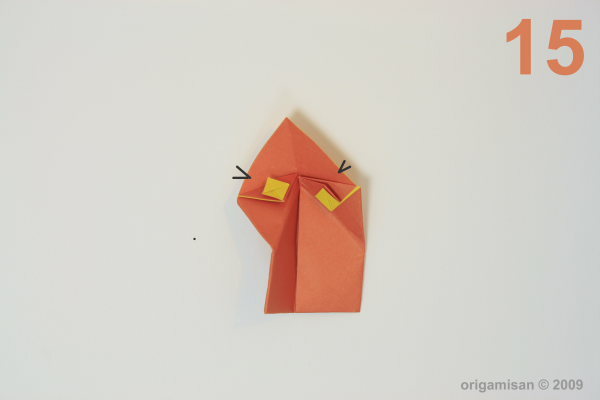 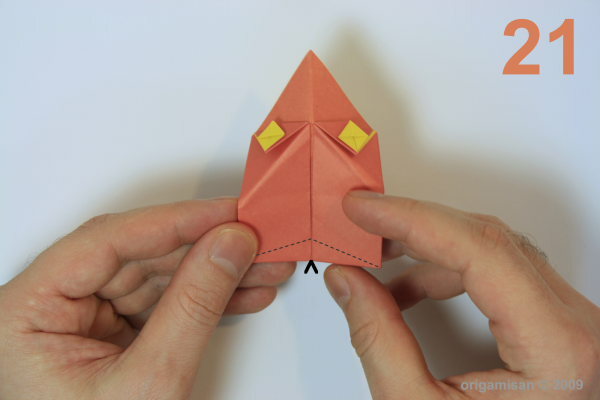 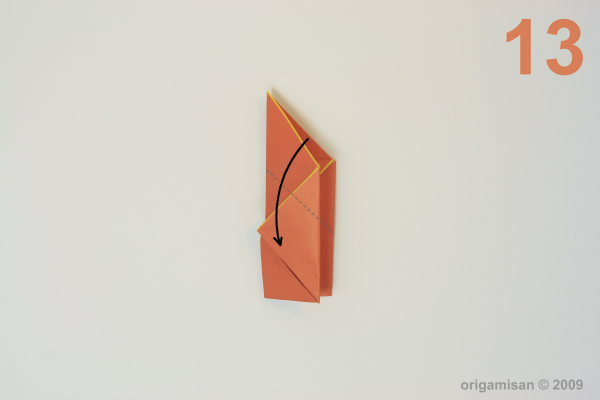 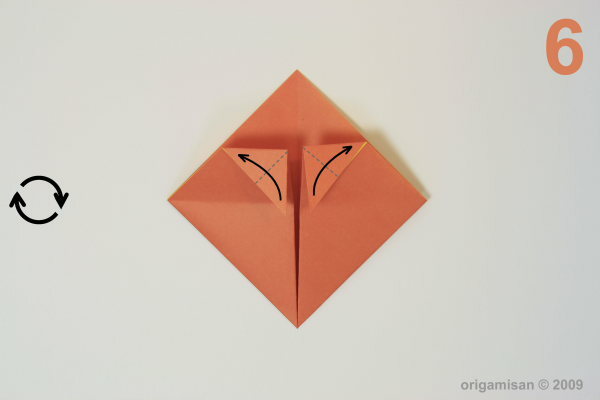 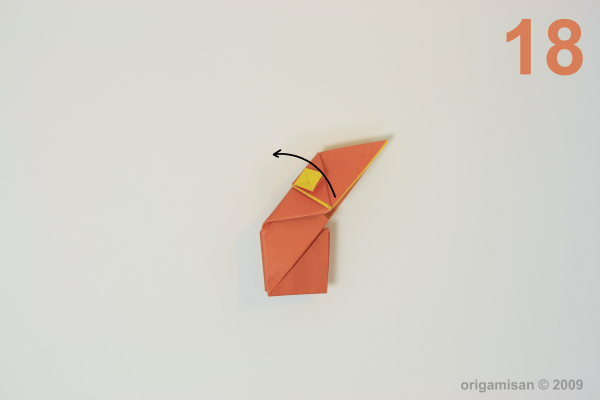 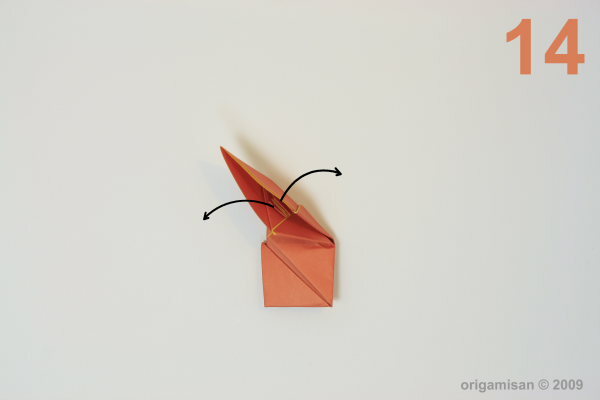 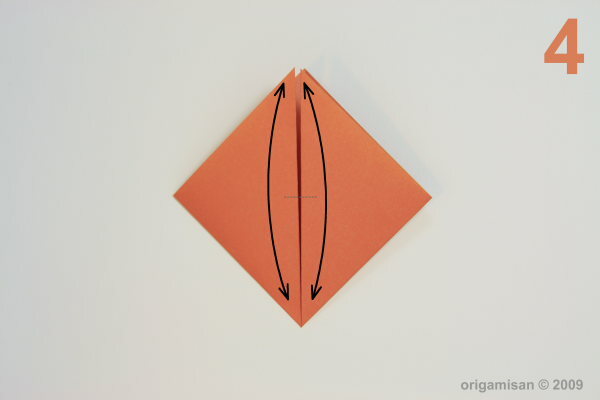 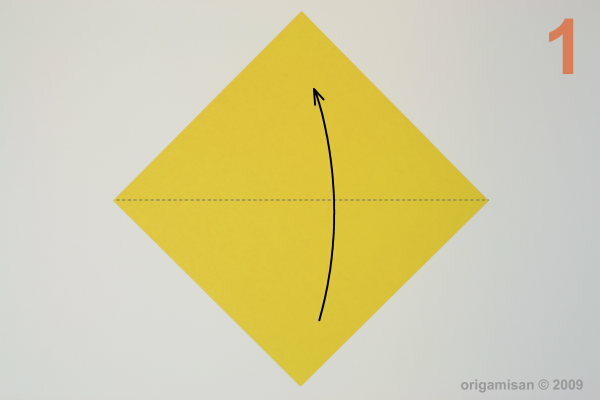 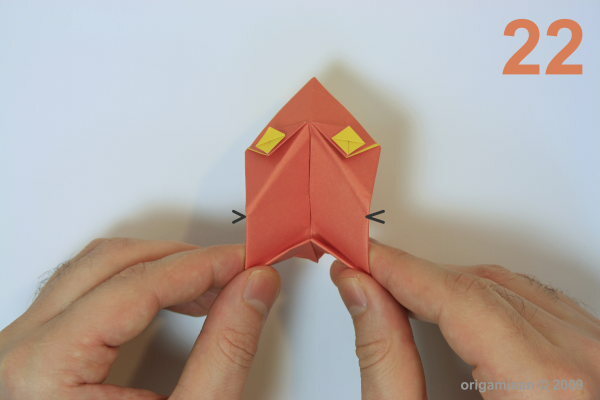 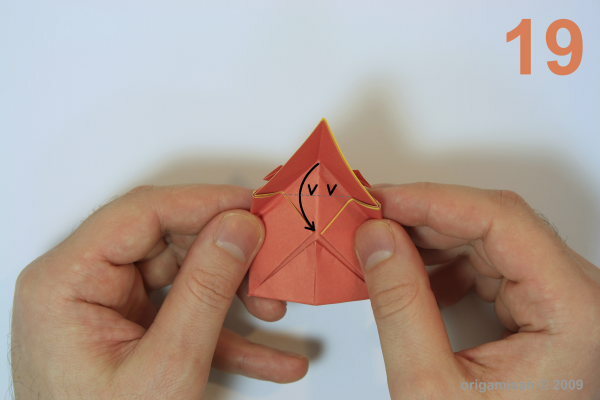 Today, we will be folding a very fun Origami figure that we bet kids will love! 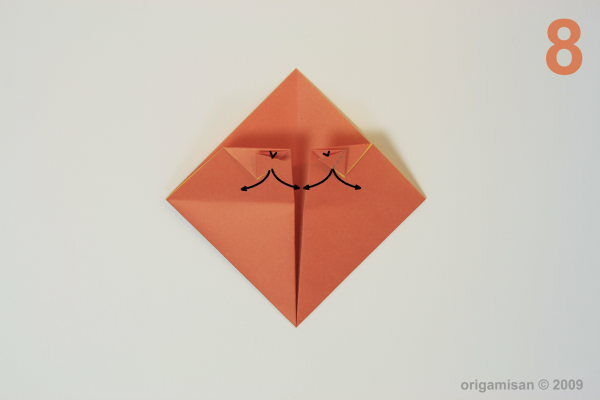 The chatty frog! 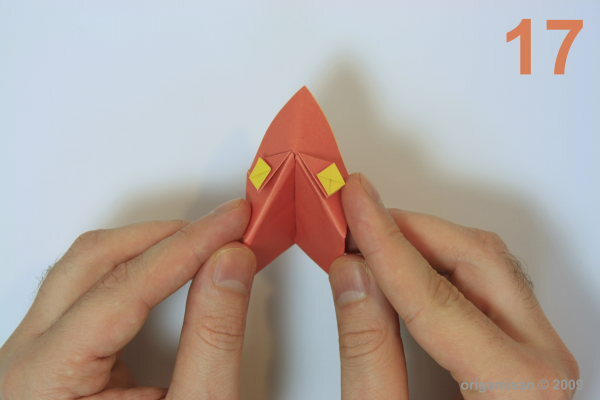 We have to warn you; please do not expect a child to keep quite after folding this figure. 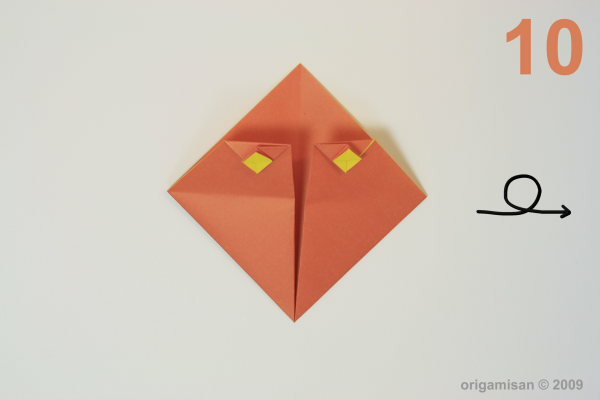 We used paper brown on one side and yellow on the other however you may want to use different colours or frog textured paper if you have. 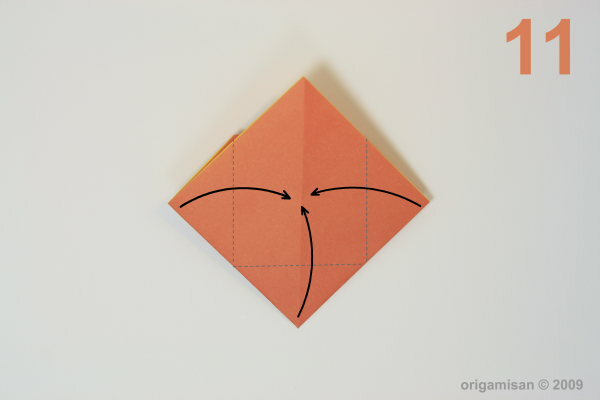 For those who have difficulties to figure out the diagrams, the video tutorial can be seen.